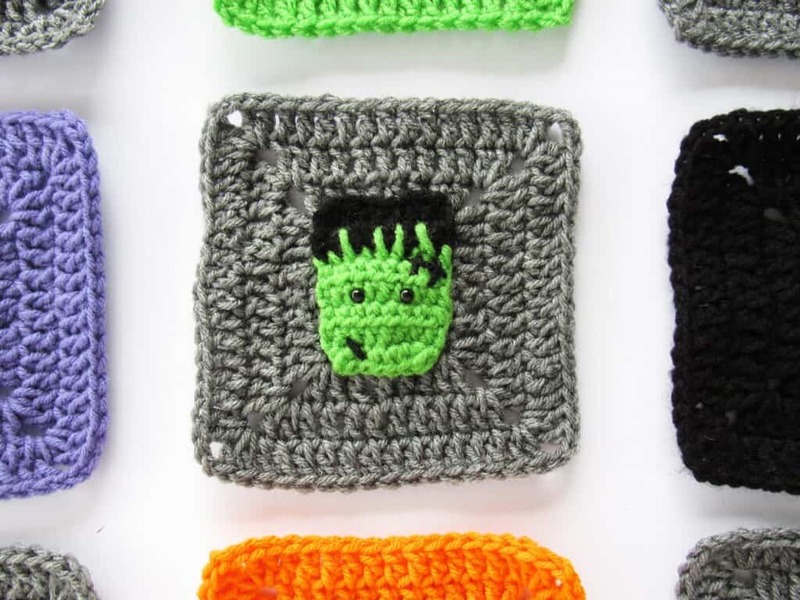 This crochet frankenstein granny square is a part of my Halloween Blanket Crochet Along. Click here to see the other squares. For Week #4 of the CAL we will be making 4 gray squares, 4 green squares, and 4 frankenstein appliques that will be sewn onto the gray squares. This frankenstein is quick to make and super cute! You’ll get them done in no time. 🙂 Watch the video to help you through and find the materials needed & free written pattern below! Don’t want to wait for the next part? You can purchase the entire pattern for the Halloween blanket here on Ravelry! Don’t forget to share your progress on the Facebook group or tag me on Instagram! I absolutely love seeing everyone’s creativity! To get notifications of when the next part goes live, you can sign up for my email list here.